Every person's eyes are unique, and everyone sees the world differently. The more closely your lenses are adjusted to meet your specific needs, the greater the visual clarity and sharpness you will experience. A customized lens design provides optimal performance for your unique vision requirements. Our primary goal is to provide our clients with the best vision possible. This philosophy is at the core of our commitment to highly customized eyeglasses. Crizal No-Glare lenses are the market leader of No-Glare (Anti-Reflective) ophthalmic lenses. They give you the clearest vision possible, so you’re ready for whatever comes your way—glare, scratches, smudges, and even UV light. 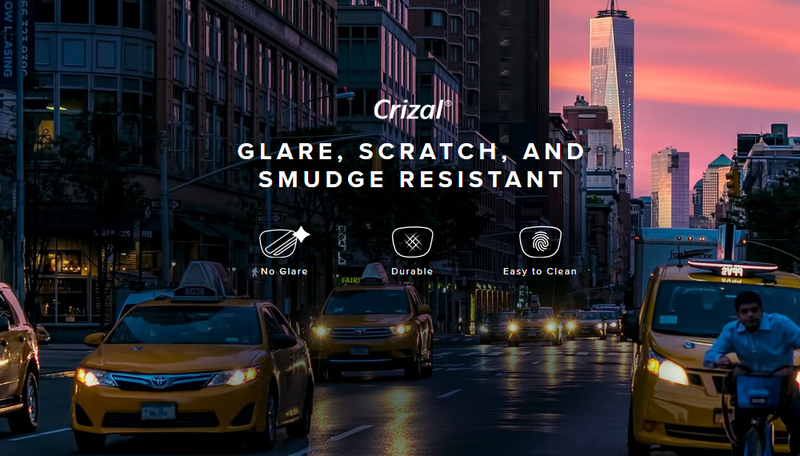 Crizal No-Glare lenses offer the best combination of clarity, durability, cleanability, and optimal UV protection so that patients can see, look, and feel better. What are the advantages of Crizal lenses? 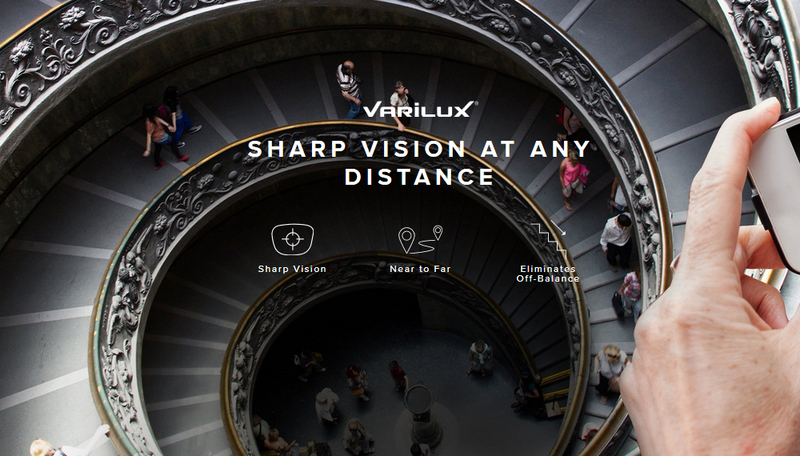 Varilux progressive lenses provide sharp vision at every distance - even in dimly lit conditions - eliminating the blurriness and low-light issues of ordinary progressive lenses. Progressive lenses allow you to see all distances clearly in a continuous field of vision with no lines. They will help you achieve the most natural vision possible. What are the advantages of progressive lenses? Adapts from indoors to outdoors and everything in between. 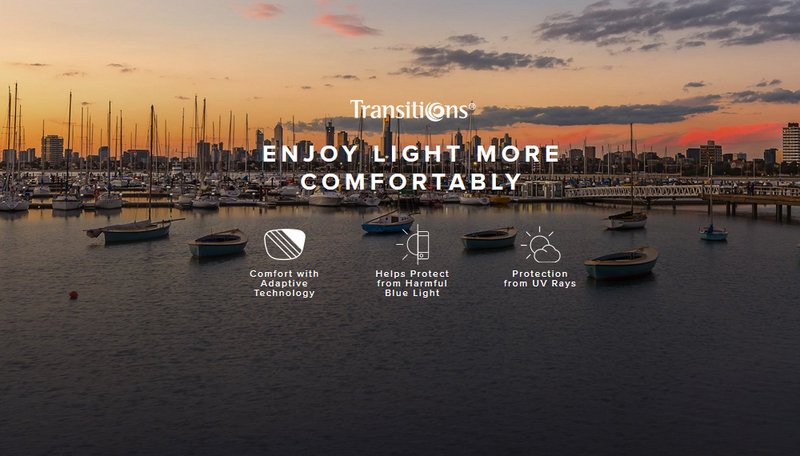 With Transitions® Adaptive Lenses®, you see the best of both worlds. Lenses adapt to changing light, from clear indoors to dark outdoors, and every shade in between. What are the advantages of Transitions lenses? Xperio UV polarized prescription sun lenses provide the ultimate protection from UV rays on both sides of the lens? With an Eye-Sun Protective Factor (E-SPF®) of 50+, you get the highest level of UV protection offered within the E-SPF index. 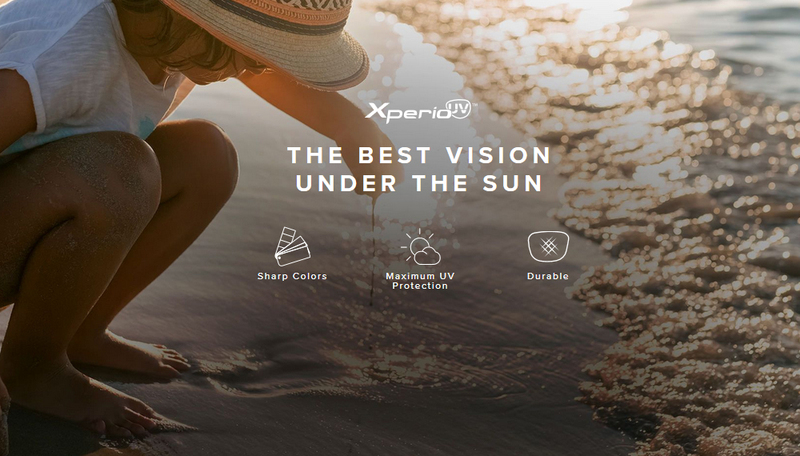 What are the advantages of xperio uv lenses? Between computers, tablets, and smartphones, we’re looking at screens more than ever before. All that screen time can be hard on your eyes and may cause digital eye strain. 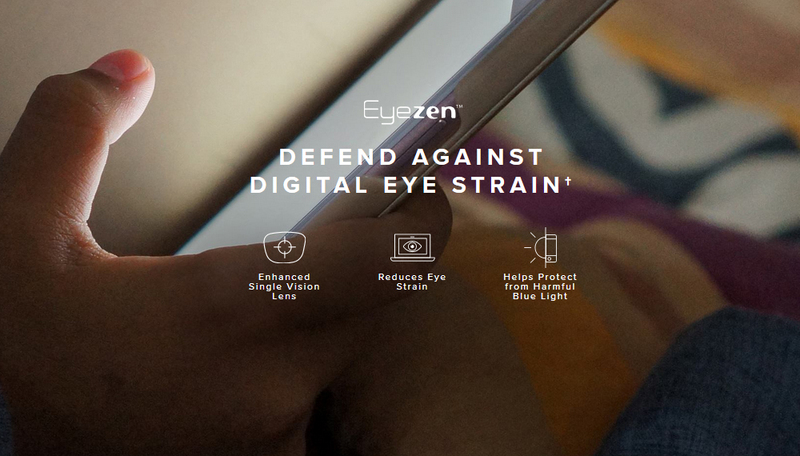 Eyezen lenses are an everyday pair of lenses, enhanced to provide comfort and protection for people who are on smartphones, tablets, and computers for hours at a time. Eyezen™ lenses are available to everyone - whether you have a prescription or not. What are the advantages of Eyezen lenses?